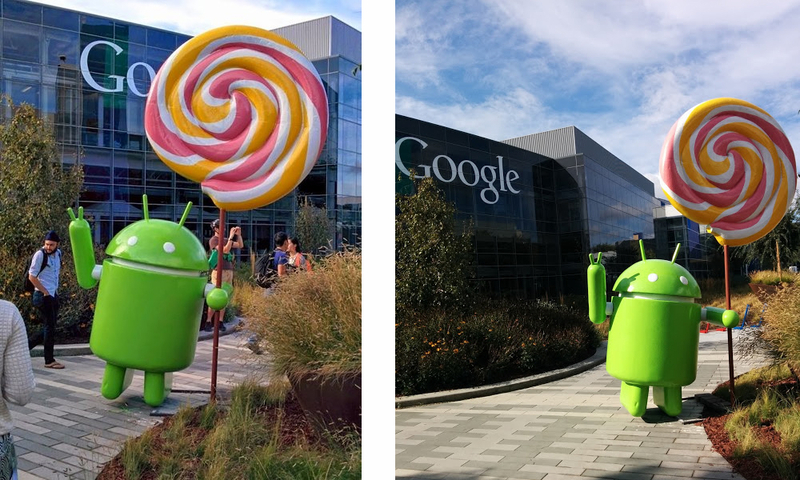 As customary since Cupcake, Google erected a statue on its Building 44 campus lawn to mark the unveiling of its latest major Android revision. Appropriately for Android 5.0 Lollipop, the sculpture is of Bugdroid, the Android mascot, making a “Peace” sign and holding the stem of a massive lollipop. It will be displayed proudly among the other statues, including those for Gingerbread, Ice Cream Sandwich, Froyo, Eclair, Kit Kat, and Jelly Bean. Your arrival is welcomed, Lollipop.